A new piece of musical theatre for children based on the play written by Carlo Gozzi in 1765. The show was developed from a version of the play written by David Bridel, it was adapted by Qi Xiaoyun, with music by Wuwei. 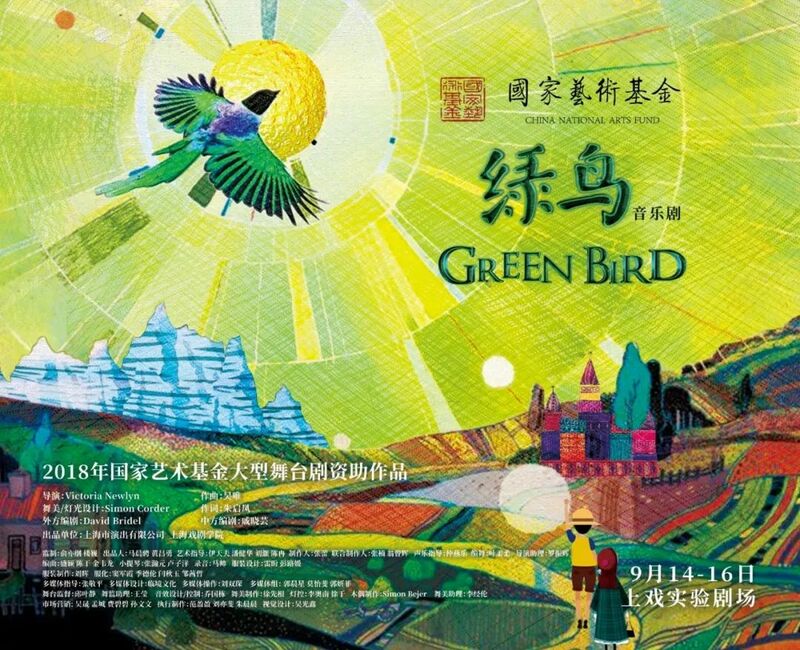 The Green Bird was supported by the Chinese National Art Foundation. The show premiered at the Experimental Theatre of the Shanghai Theatre Academy, and toured to several venues in the region. The ‘set’ was a complete theatre with self contained flying, tabs, lighting, and a rear-projected backdrop. Simple scenic elements were repeated in the backdrop media to blend the traditional and high-tech – all in the spirit of a 19th century toy theatre.